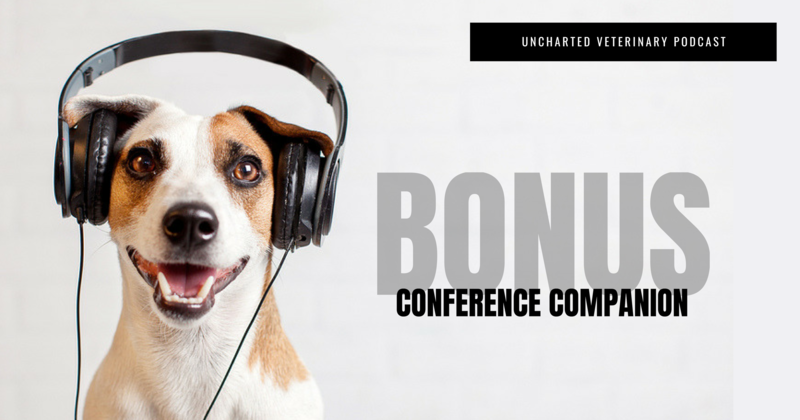 Uncharted Conference Companion – The April 2019 Uncharted Conference is right around the corner! This bonus episode of the podcast has EVERYTHING you need to know about how Uncharted works, what it is, and what’s going to happen in Greenville SC on April 25-28, 2019. In this episode, Andy and Stephanie unpack the Anchor Ball, all the workshops, the main stage talks, the mic drop talks, and even the brand-new Choose Your Own Adventure sessions. They lay out the social events, and even how the conference wraps up and sends people home with both a plan and the support they need to carry it out. 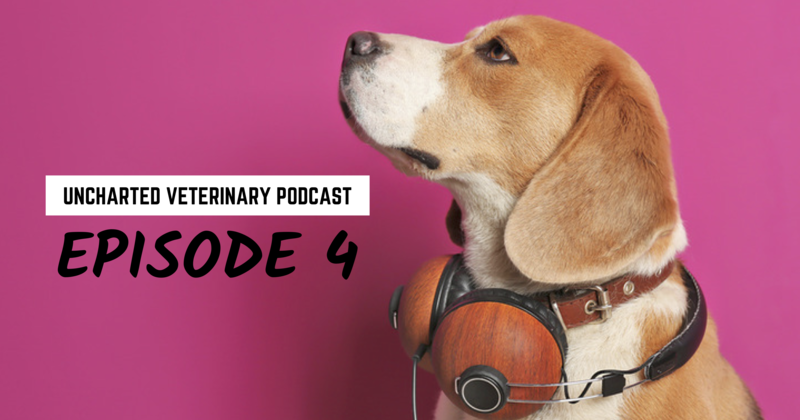 Andy & Stephanie team up with “The Administrator” Mike Falconer to discuss one of the most vital skills anyone working in veterinary medicine can have: giving feedback. 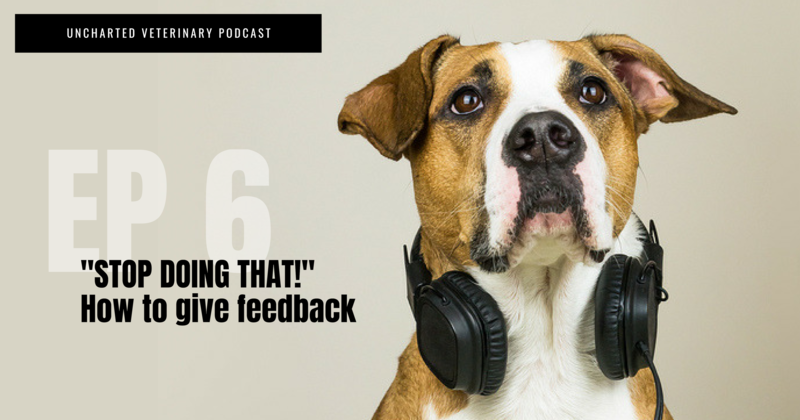 The gang discusses the old compliment-critique-compliment model of feedback (aka “the poop sandwich”), negative reinforcement, validation, temperature taking, “the mention,” and how to talk to your co-workers and staff in a way that gets you heard. Originally hailing from Scotland, and after a career in the entertainment lighting business, Mike is the Hospital Administrator for a 14-doctor veterinary practice in Las Vegas. A Hospital Administrator for 12 years, Mike also writes, speaks and consults on management, human resources, marketing, and social media. A Top Writer for 2018 on Quora, winner of the Founders Award from the Uncharted Veterinary Conference, and frequent poster to his own blog, Mike is also involved in various veterinary management, human resources, and marketing organizations. Mike supports retired Greyhound rescue and shares his home with and retired racer, Chip, a Russell Terrier Mix named Dapple, and an ancient lab mix, and rising Instagram star, called Jet. In his spare time, Mike is a voracious reader, consumer of film, and theater patron. He also spends far too much time, online, giving people a piece of his mind. Most of us understand the need for life balance. We all need to unplug and recharge sometimes. Coming to that realization isn’t much of a struggle for most of us (although some perfectionists really struggle with it). What is a challenge almost all of us is getting the people we work with to recognize our need for life balance and respect it. After all, everyone wants you to have life balance… until it means you won’t be coming to help them when they are panicking. 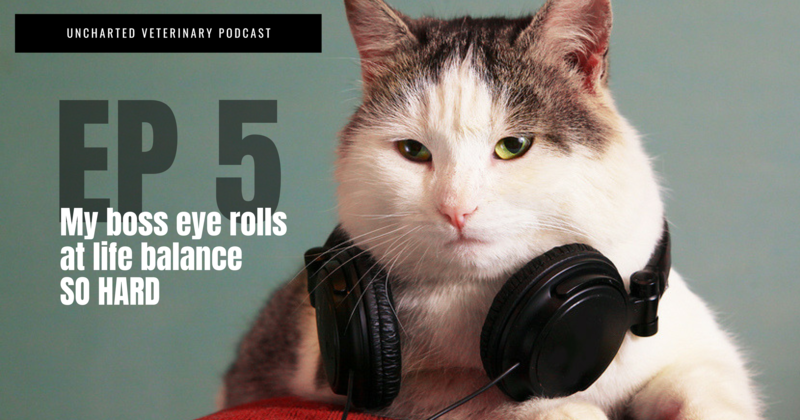 In this episode, Dr. Andy Roark and practice manager Stephanie Goss break down the hard truths of life balance and why your boss/staff don’t want to hear about it. They unpack what is productive to say, what is not, and how you can generally get much more by saying much less. Communication is key in a successful veterinary practice. I often find people agonize over having a difficult conversation with a co-worker, client, or with other people in their every day life when it would be much easier to just ask that person what happened and move forward with the conversation. We have enough stress in the veterinary workplace and the anxiety of communication shouldn’t be added to it. Jennifer Galvin, Jersey-girl at heart, started in the veterinary field in 1998 by “hounding” (get it) clinics in Arizona to let her volunteer. Finally, she snagged her first job as a kennel attendant. Since that time she has worked as a client service representative, technician and an office manager. She moved to Georgia in 2001 (for a boy, which was a big mistake) and worked as an overnight emergency technician (but only for a year because, wow, that was not her jam). Once she realized management was her passion she returned to Arizona (where she belongs, thank you very much). While working as a lead technician, she attended Northern Arizona University to obtain her management degree. Jenn then met her now business partner (Erika Cartwright, DVM and high heel wearing genius) at a clinic she was managing. In 2012, they created Advanced Animal Care. Jenn has a passion for staff development, conflict resolution, communication, education, marketing, and for some reason has great luck with computer problems (no, she will not fix your laptop). She is owned by her three dogs: Bumbee, Fern, and Joan of Bark, three cats: Mr. Pickles, Pants, and Zedd, and is married to a fellow nerd and desert lover: Jesse. She enjoys painting and dad jokes in her spare time. Have you ever worked with someone who has habits that are holding them and your practice back? Maybe someone who even recognizes they have a weakness or bad habit, but falls off the wagon when it comes to actually fixing that problem? Do you know how to coach that person to help them grow and develop? That’s what this episode is all about! In this episode, Dr. Andy Roark, Dr. Dave Nicol, and practice manager extraordinaire Stephanie Goss break down how to talk to this person, how to get them to buy into their own growth, and how to hold them accountable. This episode is a follow-up to episode 001: Coach or Move On which was about whether you should coach or part ways with a struggling team member. If you don’t know whether the team member in question can be saved, we’d recommend starting there.